We first got a sense that something was up last week during Sebastien Ogier’s first test with the Citroen World Rally Team. Initially, his Citroen C3 appeared with the typical Abu Dhabi decals in place. However, by the afternoon, those decals had mysteriously disappeared. This sudden change set forth a flurry of debate and speculation on social media as to what exactly was going on. With news breaking earlier this week that Citroen had lost the Abu Dhabi sponsorship, our fears were confirmed that the team would be running only 2 cars in the 2019 season. For many reasons, this is terrible news. First, it means that there will be one less car out there on the stages. Citroen will be at a huge disadvantage in the manufacturer’s championship going against the might of Toyota and Hyundai who will be fielding at least 3 cars in every rally. Yes, only the top two cars for each team score points, but having one less bullet at their disposal puts Citroen well and truly on the back foot. Secondly, it means that both Craig Breen and Mads Ostberg are left out in the cold without rides for the 2019 season. With most spots already filled for 2019, trying to find a ride will be difficult at best for these guys. Mads does have some financial backing that could come in handy, but with M-Sport being the only team to have not announced a line-up for 2019, even his chances may be slim. In addition to the plight of Ostberg and Breen, this news leaves a big question mark over the head of Sebastien Loeb. At one point, things seemed in place for him to run up to 5 or 6 WRC rallies with Citroen in 2019. With the 3rd Citroen C3 disappearing, so has the prospect of seeing the 9-times world champion out on the stages in 2019. Or has it? Could there be one silver lining to all of the negative news that has come out this week? With Peugeot pulling out of Dakar and World Rallycross along with Citroen dropping their 3rd WRC car, suddenly, Sebastien Loeb’s ties with the PSA automotive group have vaporized. In theory, he is free to pursue his motorsport wherever and with whomever he desires. Couple this reality with the fact that M-Sport Ford have yet to announce their 2019 plans, and all of a sudden, we have a tasty possibility on our hands. 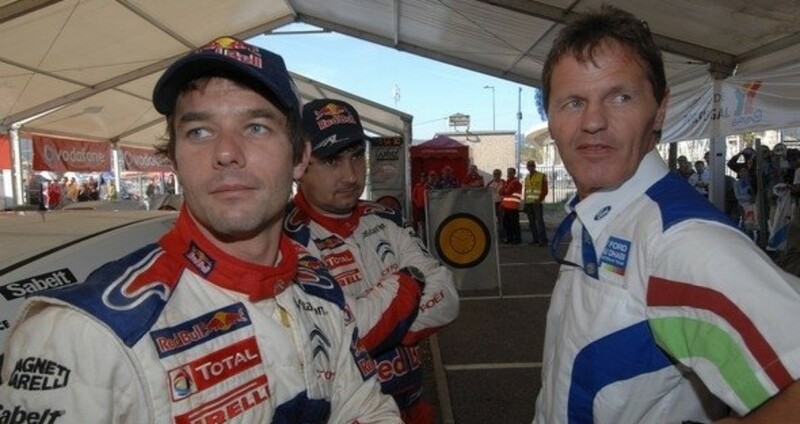 It’s no secret that Malcolm Wilson would love to get Sebastien Loeb on his team. He came tantalizingly close back in 2005 when Citroen announced their plans to withdraw their entry for the 2006 season. We know how this ended, Loeb ended up doing a season with the privateer team Kronos, and then went on to dominate for the next 4 years in the Citroen C4. No doubt, for Malcom Wilson, Loeb was the “one who got away”. Could this be Malcolm’s best opportunity to put this right? Previous story Does Craig Breen Have A Point?